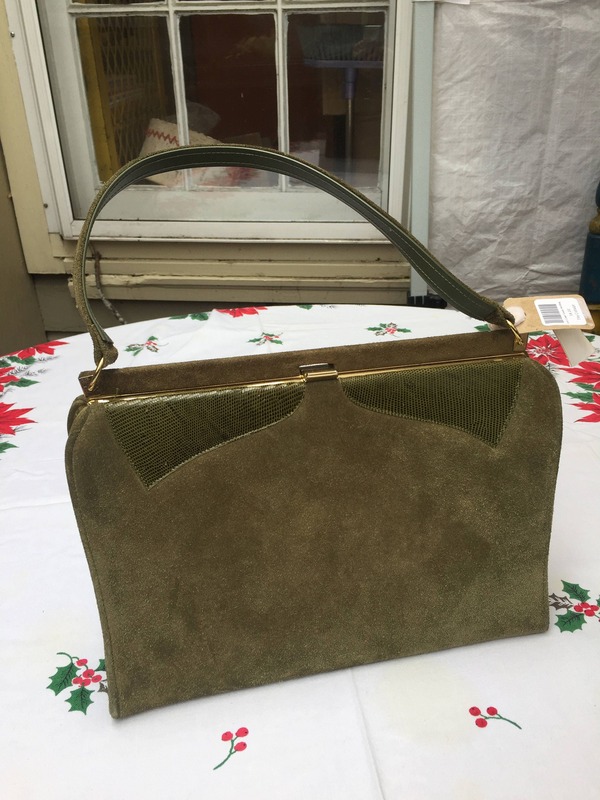 Fabulous Find... vintage handbags. 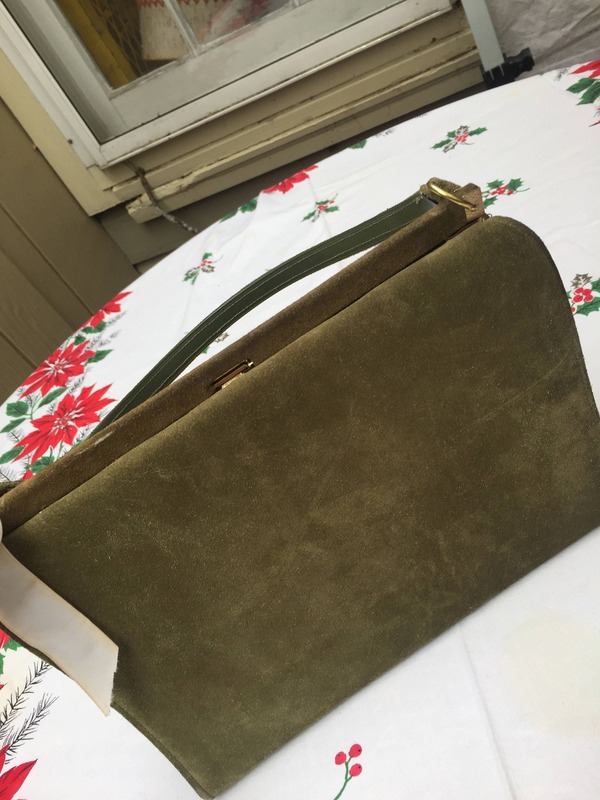 Up for sale is this Town & Country Shoe Bag. 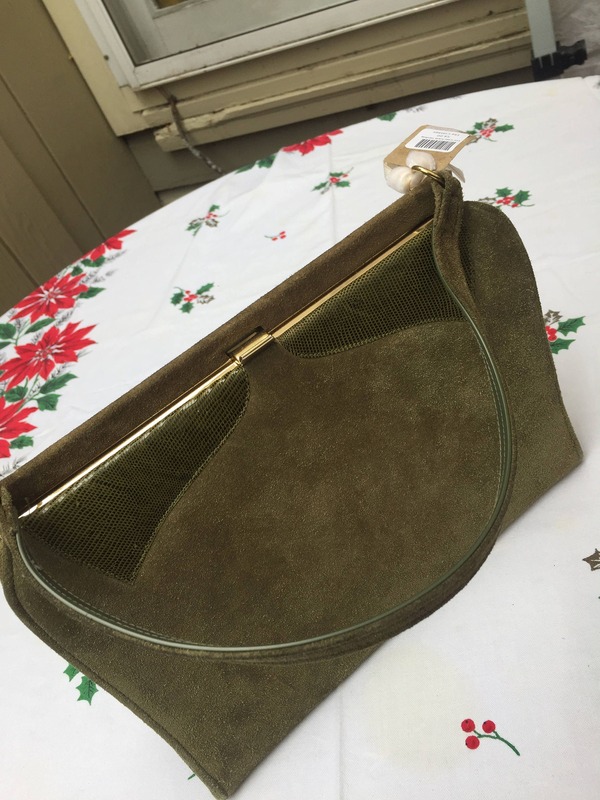 Made of Avacado green suede and decorative matching green skin. 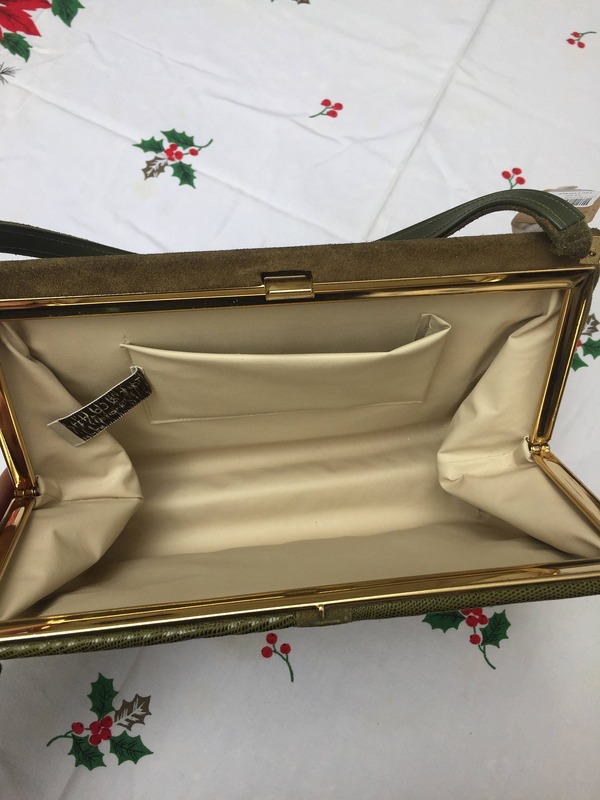 Inside is a cream pleather and very clean. Gold metal hardware. In beautiful condition. Please note all photos are part of the description. I'm happy to send more photo if you have questions.